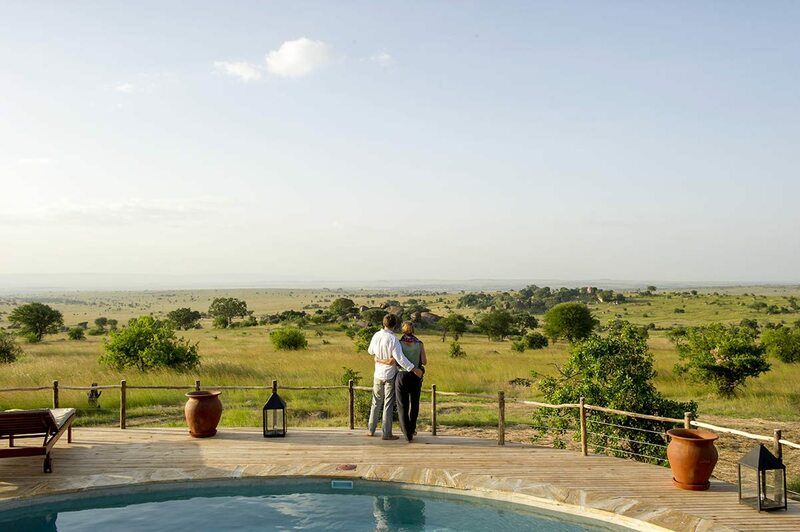 Mkombe’s House, a private Tanzania safari house in Serengeti National Park, is the perfect place for families to reconnect with each other, and with nature. The clever layout of the adult and children’s rooms and the complete flexibility over mealtimes and activities make it ideal for multi-generational travel. 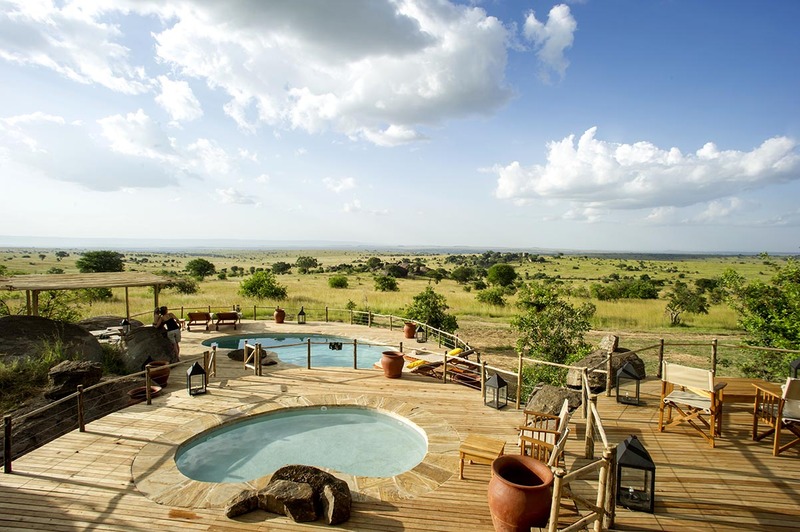 Mkombe’s House has a commanding position on a koppie overlooking the Serengeti. Our kids, on a high from the flight, are enjoying still being able to look down on the assembled herds. We’ve arrived just in time to add our own numbers to the Great Wildebeest Migration – there are eight of us – to the mix.The undulating green plains stretch on forever, with the only darker patches being the shadows of the occasional cloud, and groups of antelope. Our eldest – who has the sharpest eyes – points out the glimmer of water and trains her binoculars on the bend in the river. Her excited intake of breath confirms that she’s spotted a pod of hippo. 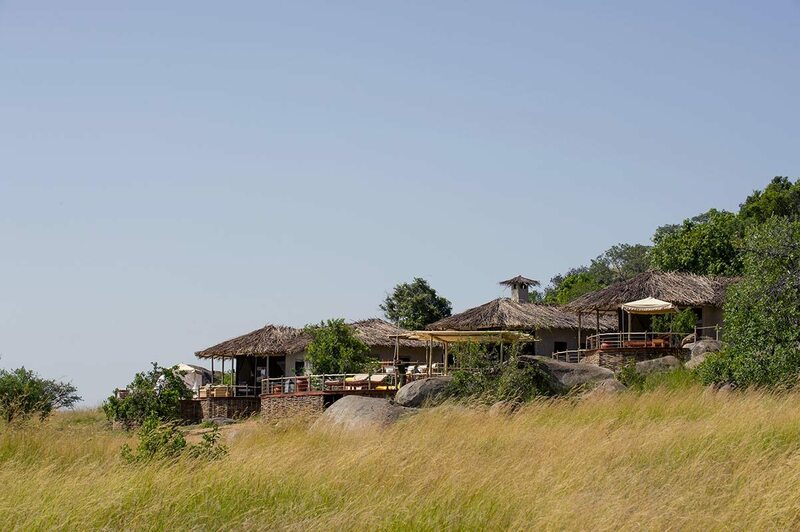 Mkombe’s House has a commanding position on a koppie overlooking the Serengeti. Our kids, on a high from the flight, are enjoying still being able to look down on the assembled herds. 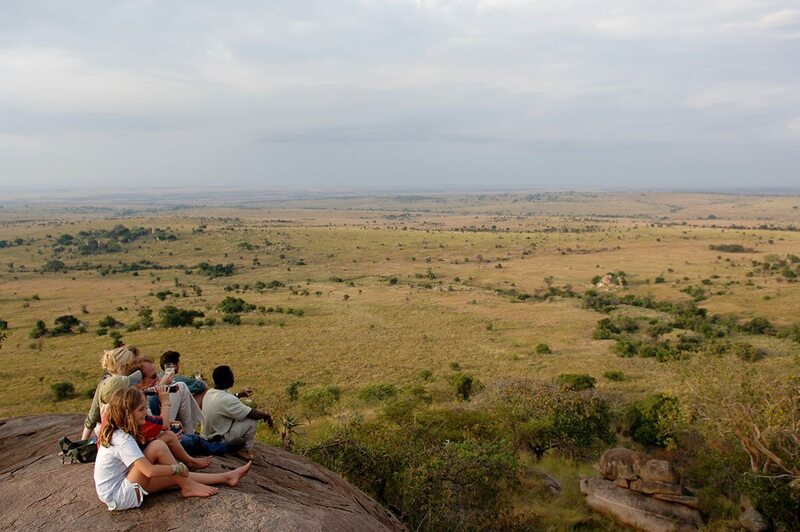 We’ve arrived just in time to add our own numbers to the Great Wildebeest Migration – there are eight of us – to the mix. 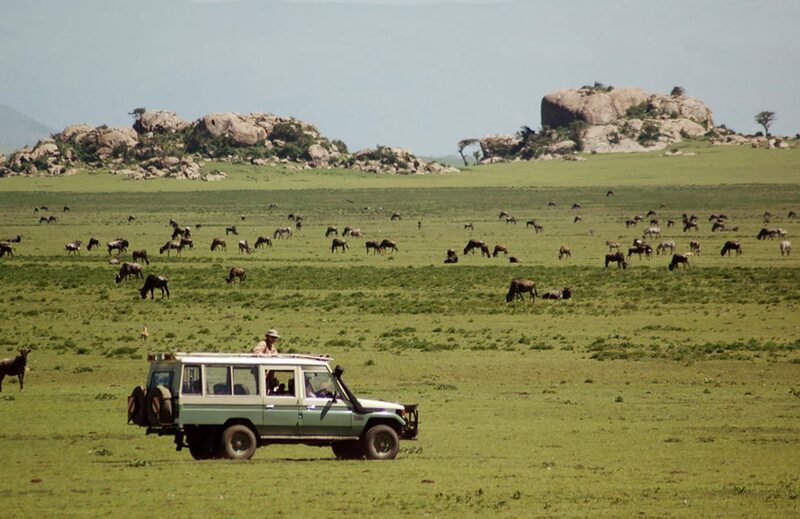 The undulating green plains stretch on forever, with the only darker patches being the shadows of the occasional cloud, and groups of antelope. Our eldest – who has the sharpest eyes – points out the glimmer of water and trains her binoculars on the bend in the river. Her excited intake of breath confirms that she’s spotted a pod of hippo. Delighted shrieks and splashes confirm that the kids have found the larger of the two pools, and wasted no time in taking the plunge. Leaving them cavorting and snorting under the watchful eye of one of the waiters, we follow our guide inside at a slightly more leisurely pace. The two double rooms are open to the view (although I’m reassured that they can be zipped up at night).My parents will have two kids sleeping in the kids’ room adjoining theirs; and we’ll repeat the same arrangement on our side. The interleading doors mean that we’ll have the perfect balance of privacy – as well as lots of quality family time, we’re keen for some romantic interludes too – and easy access in case anyone needs reassuring. 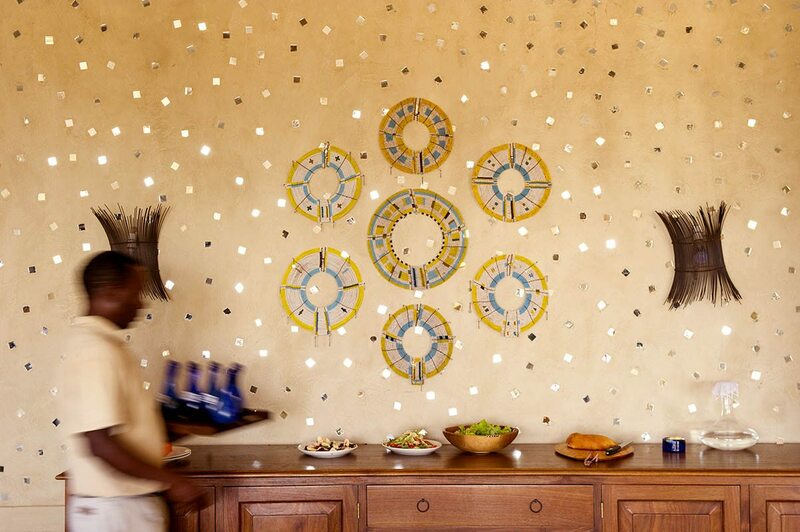 After all, nightmares can happen even on dream vacations.I love the interior styling of Mkombe’s House – lots of organic shapes, different textures and a light airy feel throughout. Wood and canvas director’s chairs are lined up on the deck, facing the view, and I know the kids will be intrigued by the brightly coloured Maasai beadwork on display.Opening a cupboard, I discover a stash of family games. Bored is the last thing we’ll be here, quips my partner, studying the carved wooden bao board. I’ll give us about a day before the kids are beating us at that, too! Delighted shrieks and splashes confirm that the kids have found the larger of the two pools, and wasted no time in taking the plunge. Leaving them cavorting and snorting under the watchful eye of one of the waiters, we follow our guide inside at a slightly more leisurely pace. The two double rooms are open to the view (although I’m reassured that they can be zipped up at night). My parents will have two kids sleeping in the kids’ room adjoining theirs; and we’ll repeat the same arrangement on our side. The interleading doors mean that we’ll have the perfect balance of privacy – as well as lots of quality family time, we’re keen for some romantic interludes too – and easy access in case anyone needs reassuring. After all, nightmares can happen even on dream vacations. I love the interior styling of Mkombe’s House – lots of organic shapes, different textures and a light airy feel throughout. Wood and canvas director’s chairs are lined up on the deck, facing the view, and I know the kids will be intrigued by the brightly coloured Maasai beadwork on display. Opening a cupboard, I discover a stash of family games. Bored is the last thing we’ll be here, quips my partner, studying the carved wooden bao board. I’ll give us about a day before the kids are beating us at that, too! 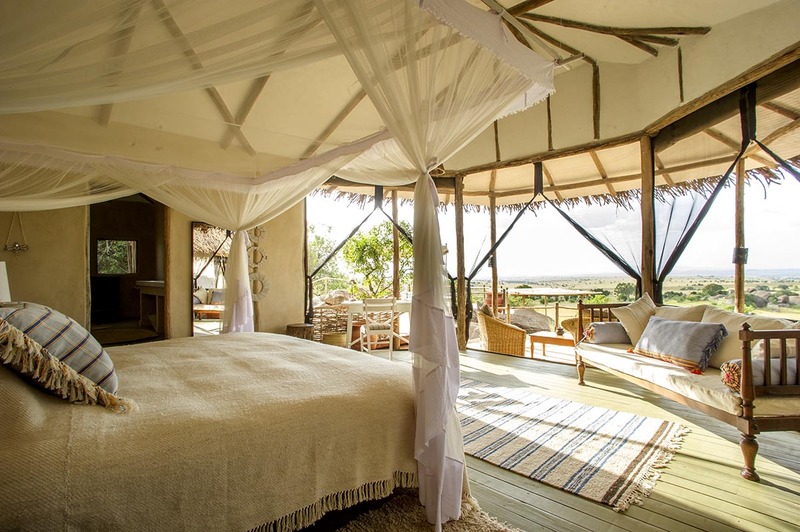 This private Tanzania safari house is a real find. We have it all to ourselves, which means the chance to really chill as a family – and laugh out loud at silly jokes about zebra crossings, have pillow fights and make all the noise we want to.With Mkombe’s House being ours for a few days, we can also call the shots – and not just when it comes to photography. 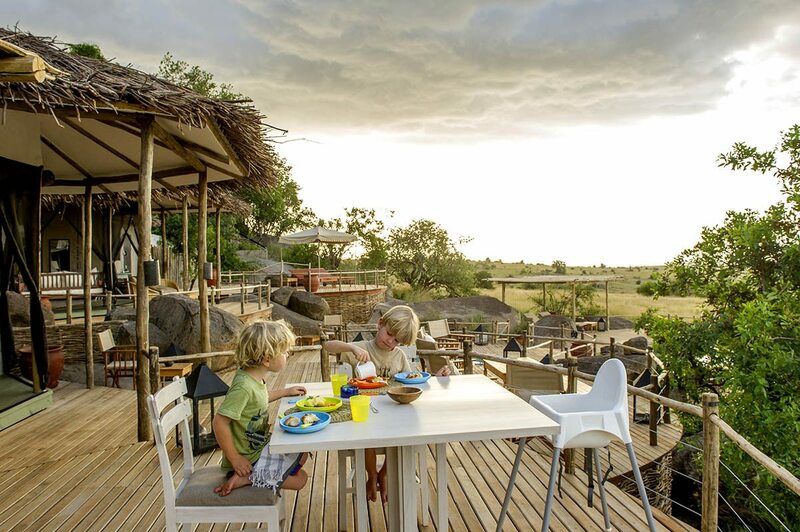 Trying to get all four kids up on a school morning can be a challenge – here, if we want to sleep in before a game drive, we can. (Although my parents had no problem getting the two older ones up at sunrise to go hot-air ballooning!) 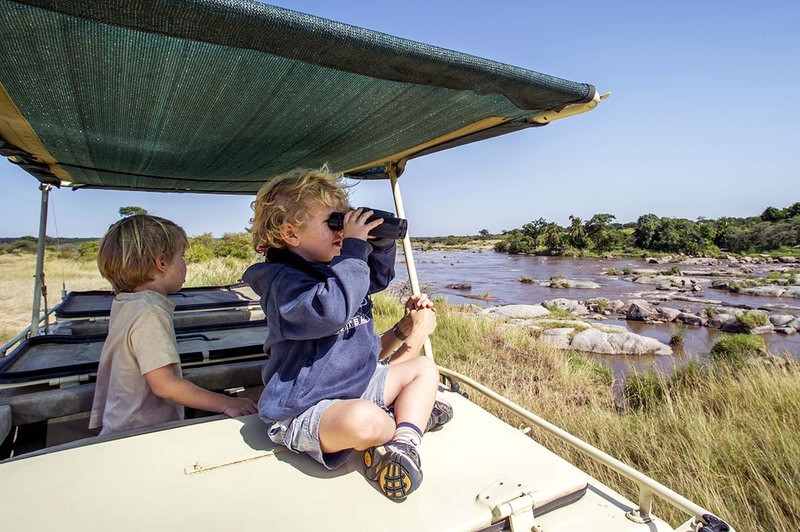 Plus, we can return well before dark for early dinners.Although the kids are a little too young to come with us on Serengeti walking safaris, we know they’ll be in great hands if we leave them with the staff for a couple of hours. Best of all, the kids will also get to spend time with my parents, to their mutual delight. 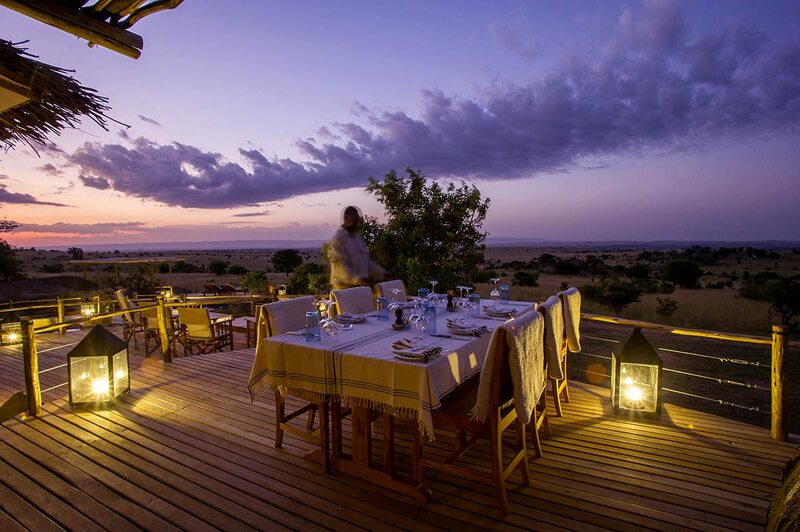 This private Tanzania safari house is a real find. We have it all to ourselves, which means the chance to really chill as a family – and laugh out loud at silly jokes about zebra crossings, have pillow fights and make all the noise we want to. 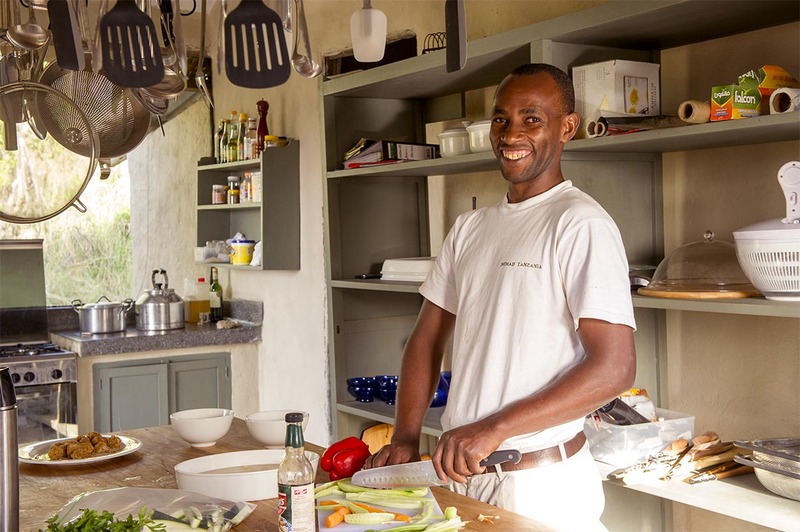 With Mkombe’s House being ours for a few days, we can also call the shots – and not just when it comes to photography. 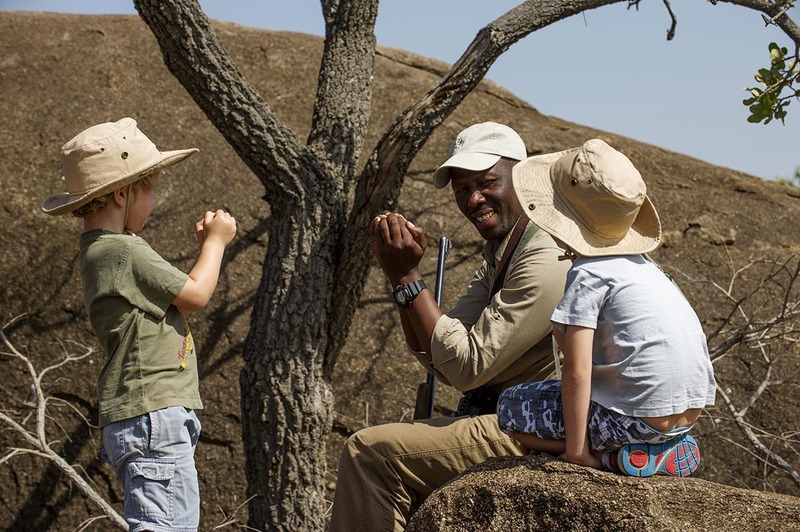 Trying to get all four kids up on a school morning can be a challenge – here, if we want to sleep in before a game drive, we can. (Although my parents had no problem getting the two older ones up at sunrise to go hot-air ballooning!) Plus, we can return well before dark for early dinners. 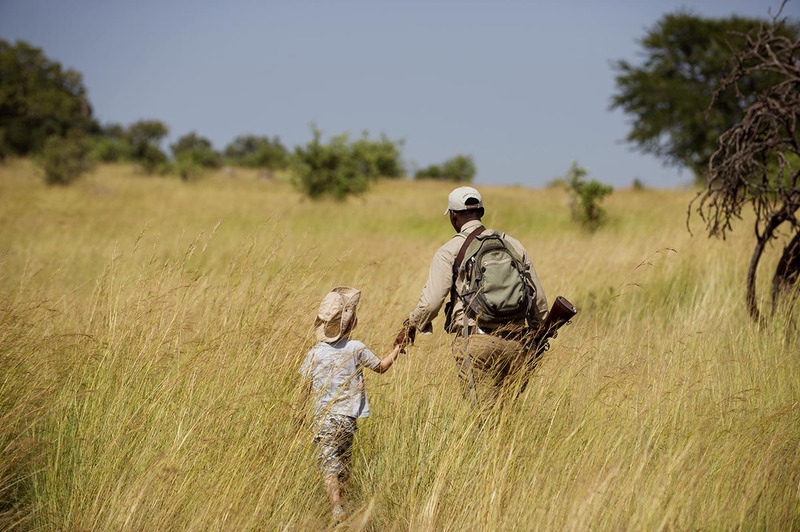 Although the kids are a little too young to come with us on Serengeti walking safaris, we know they’ll be in great hands if we leave them with the staff for a couple of hours. Best of all, the kids will also get to spend time with my parents, to their mutual delight. 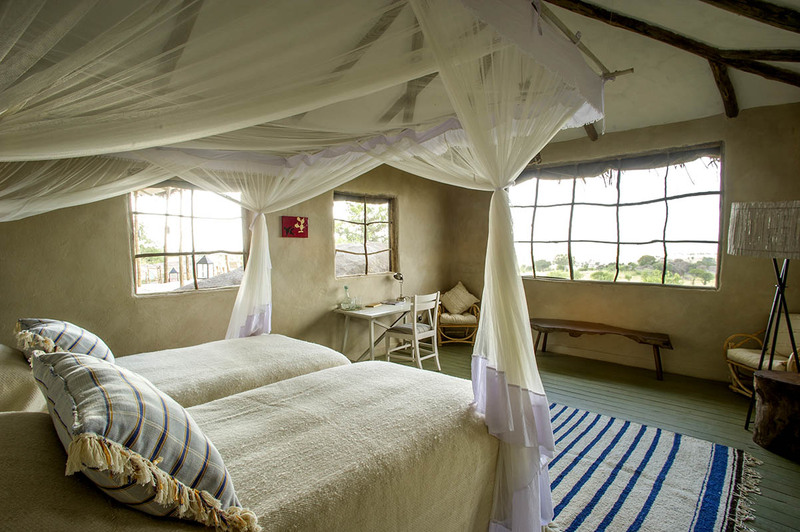 A private house, halfway up a koppie with wonderful views out over the plains of the northern Serengeti, and close to two important Great Wildebeest Migration river crossings. It includes two adult and two interleading kids’ rooms to sleep a total of ten. 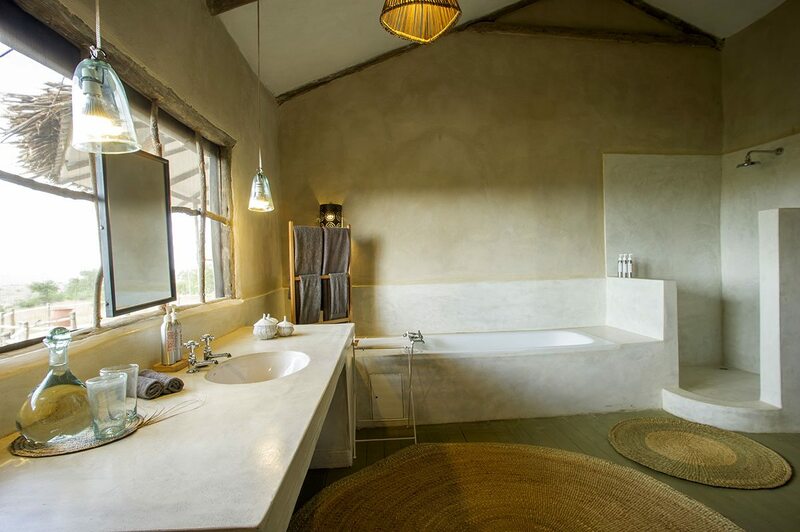 Each room has a verandah, and there’s a plunge pool and larger pool and outdoor chill-out areas. 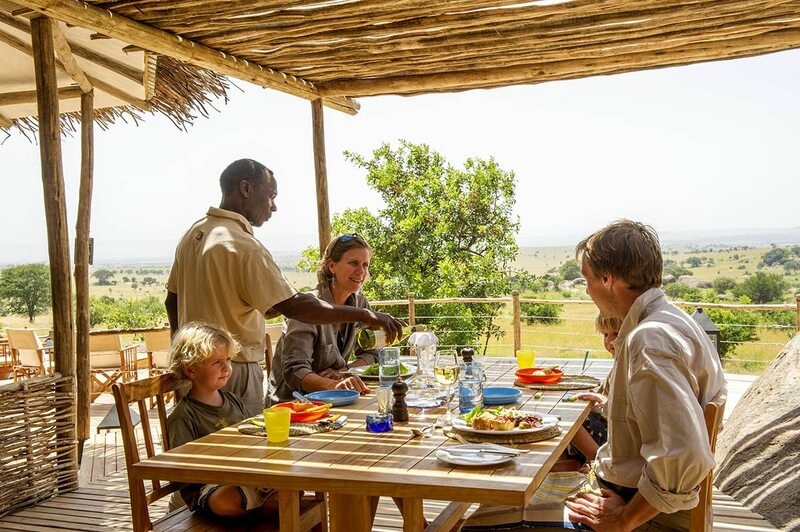 Exclusive-use safari house, private guide, private vehicle, dedicated staff including in-house chef and complete flexibility over meals and activity schedules. 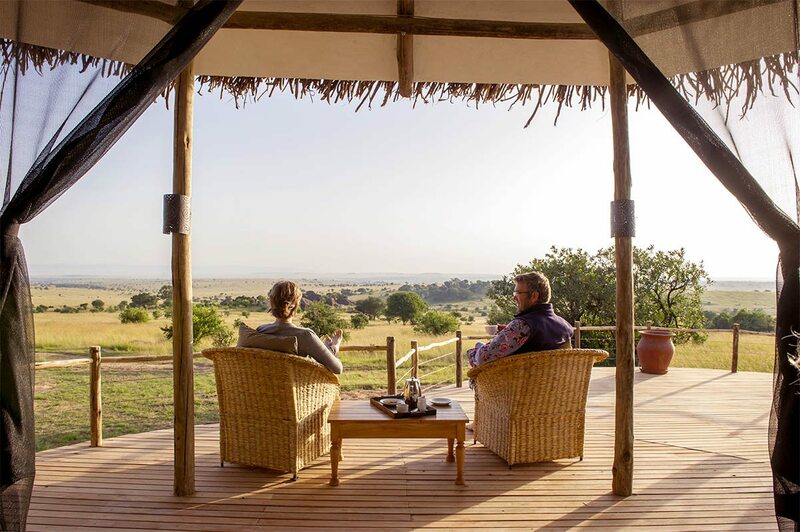 Game drives, walking safaris (minimum age of 12), Great Wildebeest Migration Mara River crossings, sundowners, bush picnics, hot-air ballooning (additional cost, age/height restrictions can apply) and swimming. Children welcome. Two children’s rooms (sleeping three kids each) and facilities such as cots, high chairs and car seats available. Full babysitting service. No formal kids’ programme, but the staff delight in coming up with fun, educational ways to entertain children. This is a wonderful time to visit northern Tanzania, with the vegetation initially lush after the rains, but then dying back, making the wildlife that much easier to see. Temperatures are cooler (although the days are warm and sunny). With the wildebeest herds assembling to make the perilous crossing of the Grumeti River, this is the busiest time of the year here. 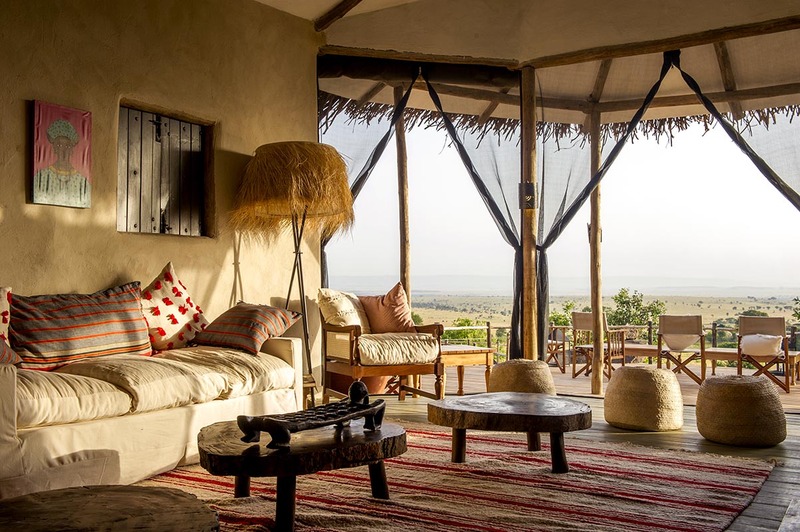 Tarangire is a great option now, with locally migrating wildlife concentrating along the Tarangire River, or take in the tree-climbing lion and beautiful seasonal waterfalls at Lake Manyara. The long dry spell between the rains sees the vegetation cycle being repeated: lovely green grass immediately after the rains subsequently starts to wither. As food and water become scarcer, game concentrates around waterholes, making wildlife viewing particularly easy in January. Wildebeest calving in January and February on the southern Serengeti short-grass plains means a glut of kills – it’s the best time for predator action. Away from the Serengeti, this is an ideal opportunity to see resident game in the Ngorongoro Crater and at Lake Manyara, and birders will enjoy spotting migratory species. 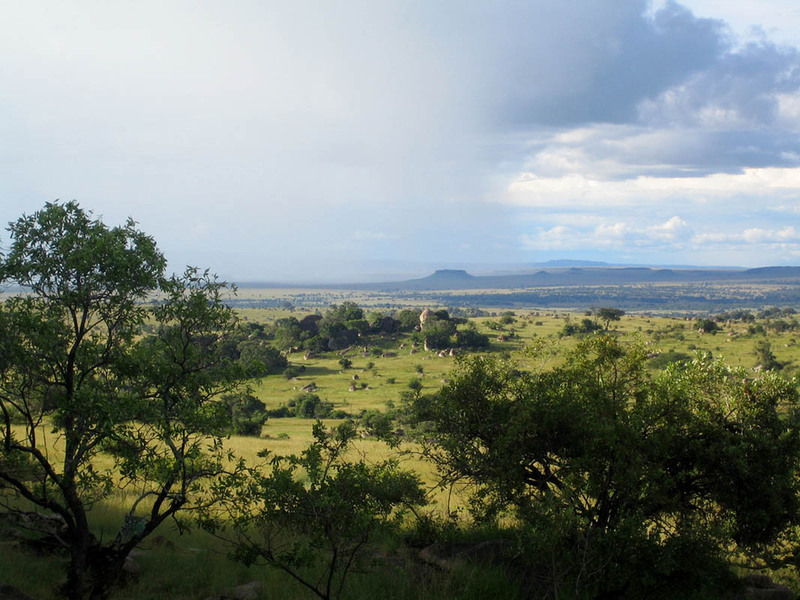 These are perhaps not the ideal times to visit northern Tanzania as they represent the two peaks of the wet season – the long rains in April and May; the short rains in November. 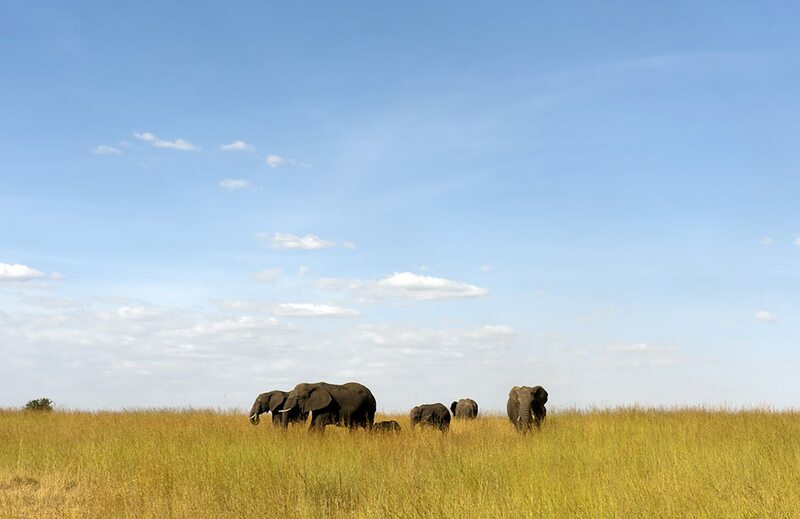 This does mean however that you’ll be sharing the game reserves and national parks of northern Tanzania with far fewer people, and there’s still plenty to see. During the long rains, the Great Wildebeest Migration moves north in the Serengeti, through Seronera towards the Western Corridor, while in November the herds return from the Masai Mara.